Since the first MBA program in the world commenced in 1908 at the Harvard University, the course has evolved drastically according to the needs of various businesses. Today, the students who are planning to do an MBA have two options. One is the general MBA program offered at every B-Schools in the country and another a specialized MBA program, which is aligned towards a particular industry, but rare to find everywhere. In this era where doctors, lawyers and people regardless of their educational or professional background opt MBA as a final certification, the number of tailor-made MBA courses are sprouting every year and the demand for these programs are high. Thus, in this vast arena of management education and degree, which is wired with myriad choices, two important aspects make a huge difference in the end result - the institution and the specialization. Unlike general MBA, which exposes students to the big picture of management theories, specialized programs tend to zero on practical and commercial applications. All MBAs hold certain core attributes that are valued by employers seeking to hire the managers of the future and general MBAs teach their students to think strategically and analytically. However, the addition of a specialization that matches with future career can fast track a candidate to senior management. Specialized MBA is generally a job-oriented program that makes sure that a student gets a customized qualification, which he/she can put into maximum practical use in the workplace. As the demand for specialized MBAs are on the rise, along with the pioneers of specialized MBA providers like Mudra Institute of Communication, Ahmedabad (MICA), Indian Institute of Foreign Trade (IIFT) Institute of Rural Management, Anand (IRMA), many institutes in India have started providing specialized MBA programs. Retail, Construction, Communication, Rural, Pharmaceutical, Telecom, Banking Finance services and Insurance (BFSI) are a few of the active sectors today, which recruit specialized MBA holders. 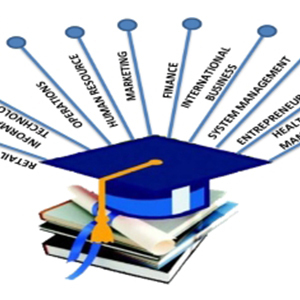 Each of these sectors, requires qualified professionals who are useful for the sector's unique career requirements, which can be considered as an open invitation for students joining specialized MBA Programs in terms of Managerial career opportunities and long term growth potentials to leadership positions in their specific sectors. While general MBA and specialized MBA have their own strengths and weaknesses, students should consider all the aspects before taking a final decision. Many aspirants who decide to do specialized MBA with the thought of an assured job in the particular field, opt for a specialization randomly without much introspection, which will not only hamper their studies for the two years but their career will also take a toll if the sector is not meant for them. Specialized MBA programs will give a proper direction to the higher education and provide the right launch pad for a focused career, only if it is chosen wisely.